Believe it or not, we have never thrown a holiday party. Our first home was quite remote, and since our more centralized friends had a party every year, we just never bothered. But this year, the key party-throwers not only have two little ones in tow, but they are also planning a three-week trip to Germany for the holidays to be with family. So it is up to us and our new centrally located home to throw a winning holiday party and bid them a relaxing bon voyage. So here I am asking all of you wonderful readers for some recipe advice! Kid-friendly bites – There will be a good handful of 2 to 3 year olds there. Some all natural / from scratch recipes would be best since my good friend is doing her best to start her little one out without processed foods or candy. 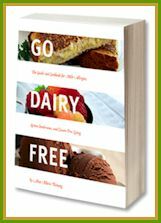 A Vegan Recipe or Two – Just in case there is a vegetarian or two, I want to make sure I have some suitable options. Dips and Noshes – We keep a dairy-free household, but I seem to be able to convert most recipes with ease, as long as it isn’t a three-cheese dip or something! Hmmm, a semi-traditional German recipe might be a nice gesture too! What’s this hiding out? 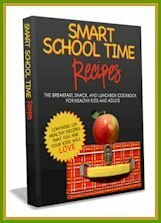 Could it be another Awesome Cookbook to Give Away? Dips and noshes = can’t beat the ol’ crudites and hummus/dressing combination. German = Wiener schnitzel! Haha. Mini meatballs for the kiddies? I’m trying to think what we ate when we were little, but I think we just ate the same as adults, so I’m drawing a blank! Always tons of veggie platters – oh and olives to stick on our fingers! 🙂 Mini chicken bites? That just reminded me of a recipe I haven’t cooked in forever – cut in bite sized squares, coat in honey mustard, bread crumbs, and bake turning once. These are good apps, which Sarah said she could make w/ Tofutti cream cheese: http://www.dinneratchristinas.com/2009/09/bacon-wrapped-jalapeno-thingies.html Also can be made a day ahead! This is one of my fav vegan dishes: http://www.dinneratchristinas.com/2008/09/rustic-cabbage-soup.html you could keep in a crock pot. Also, we had this DF dish at Thanksgiving and I LOVE it, you could replace vegan bacon or leave out? http://www.dinneratchristinas.com/2009/11/brussel-sprouts-with-bacon-and-maple.html I made this a day ahead, too. I agree w/ veggie girl for dips – can’t go wrong w/ hummus. Also love refried bean based dips, too. Mmmm. Or even simple salsa and chips! I always like to bring a white bean dip or an olive tapenade with some homemade pita chips. I posted a vegan bacon dip that I made over the holiday. It’s got a hint of cayenne that, if you removed, would be gobbled by young and old, omni and vegan. It was hard to walk away from that dip. Email me specifically for vegetarian and/or vegan toddler recipes. I have all of the above round here. But for kids, pretty, lovely fresh FRUIT always works. Bite size and tiny-hand sized. Not so much veggies, but no kid ever refuses fruit, ever. Same with a cute raisin/cracker/etc mix. Dont do nuts, some parents are super over-cautious regarding nuts these days. I’m in the middle os posting an entire series of holiday appetizers – I have about 7 so far. Check them out if you’d like. As for beverages, last week I had this amazing punch. It was champagne, orange seltzer, ginger ale, and strawberries. It was so refreshing! Pigs in a blanket are always a big hit with the kids. You can buy the smaller weenies and buy a can of refrigerator biscuits. Cut each biscuit in four, and stretch the dough around each weenie – bake at 350 for about 7-10 minutes depending on your stove, or until they are browned. These can be made ahead and reheated at the last minute. I’ll think of some more and get back to you! I was also going to mention making fruit for the kids. I know it’s probably harder to do now that most fruit isn’t in season, but it’s always a big hit with the kiddos. You can cut them out with cookie cutters to make cute shapes and stuff. If someone were to ask me what my daughter would like for a snack at a party, that’s what I would recommend. Maybe some edamame too? Mine loves squeezing the beans out of the pods. When boiling, let them go a minute or two longer than what the package recommends so that they squeeze out a little easier. I also like making mini cupcakes and sweet breads on the side. Mini sandwiches are good and versatile too! You can really get creative with them!=) Hope this helps! Hmmm. . . my favorite kale salad (see your next post) is always a hit, and I love to serve Mediterranean Rice Casserole as a side dish (see recipe index on my blog). For kids, mini cupcakes are always nice, or the old standard, chocolate chip cookies! Posted a link on http://twitter.com/bouldervegan!